The beautiful days of Autumn are upon us. All creation sings the praise of its Maker! 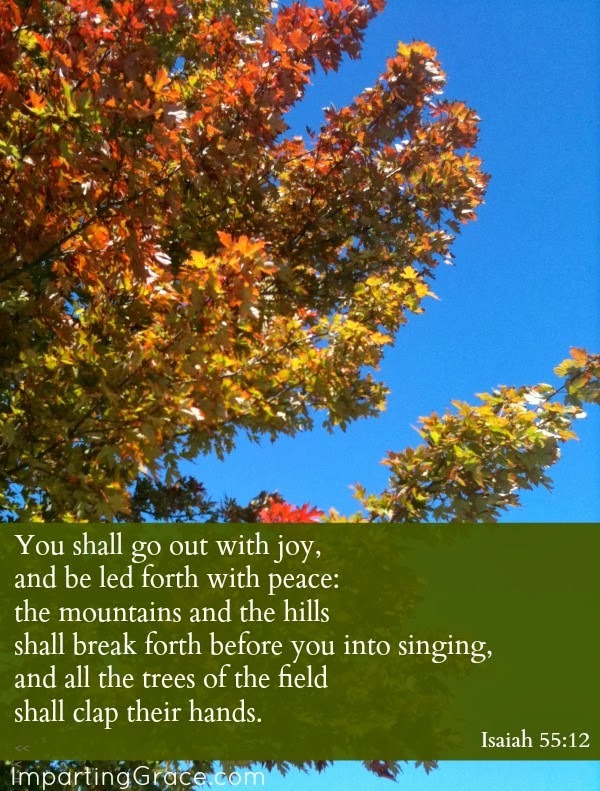 May your day be filled with joining the mighty chorus. I can never read that verse without singing it. Thanks for sharing. 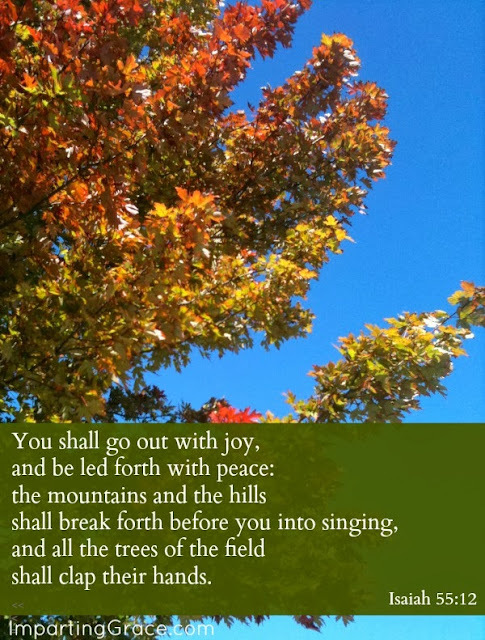 The perfect scripture for the fall trees. Beautiful.